My 91 year old Mother-in-law said to me, “I don’t want anything for Christmas, Bridget. Do not buy me anything.” Ok, if that is what you want, I think. I won’t buy you anything. When I Christmas shop, I always ask God to bless me with His favor and show me items that my family might like and want that I can afford. But, this is different. I need to stop my usual routine of shopping and seek God’s guidance. I’m not gifted with being crafty. So, again I pray for help. God is so good. What He showed me to do startled me. Really? That’s what you want me to do? I laugh, but go ahead with the plans.My Mother-in-law had an African Grey bird that she loved but could no longer care for. She lives at a retirement community with a welcome shelf outside her door. God put it in my heart to make a doll of her holding her beloved bird in one hand and welcome sign in the other. Please God, take control of my mind and my hands. Lead me and guide me though this project. I prayed for help with finding and cutting the pattern. I prayed for help with sewing, hand stitching, and painting. Help me God, help me. And I giggled and giggled. The finished product is pictured. It is beyond any expectation I had. 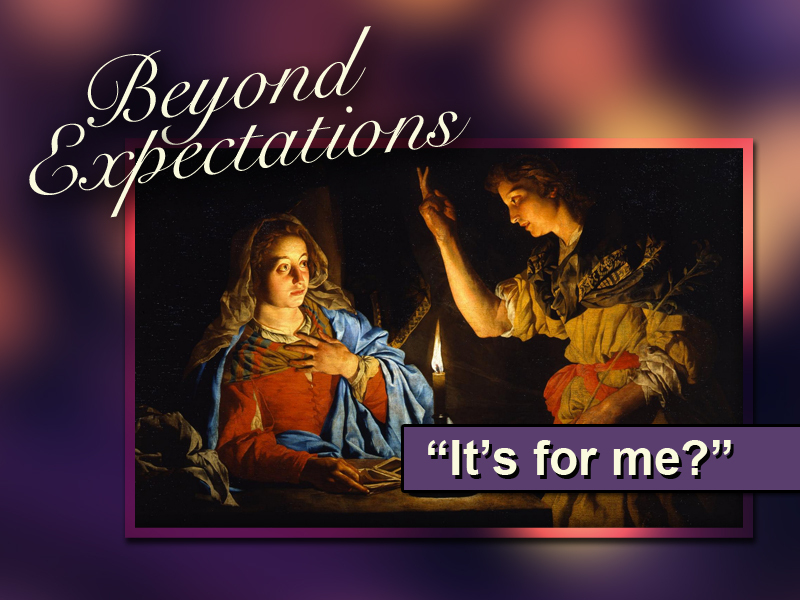 On Sunday, Pastor Dan talked about how Mary received the biggest gift and perfect gift; the gift of Christ. This Christmas the biggest and perfect gift is for you! It’s for You and me and my mother-in-law! Maybe that is why she asks for nothing this Christmas. She already has all she needs in Jesus!